It's very rare to see a gem like Crescent Moon in the Philadelphia area. This coffee house I ran across about a year ago and ever since I've been in love. One good sign of a promising coffee house is the vision behind it. Not only members of the SCAA and various coffee/espresso task groups, they eat, sleep, and breathe quality in coffee and tea. 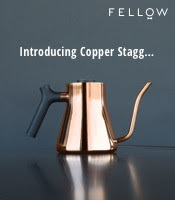 From what I've seen, the employees have been extensively trained in many aspects of coffee and tea, especially in coffee roasting and quality espresso preparation. The owners encourage their employees to be the best of the best in the business and will do what it takes to get them there. As a result they have some of the most dedicated employees. Not only did one of their baristas win the Mid-Atlantic Barista Championships (with another placing in the top eight) but they also have employees specializing in roasting and making a life-long career out of it. As far as the coffee goes, I dare say it's unmatched. The emphasis on quality, variety, and consistency amazes me. The espresso also hits the spot superbly. The espresso blend holds such a full body, the baristas know how to pull a perfect shot, and the drinks are created well. For cocoa fans, I highly reccomend the hot chocolate (made from blocks of imported Ecuadorian cocoa). The tea is Republic of Tea, nothing too original or off-the-charts but usually proves to be a good cup. A final area of commendation is the attention to socially responsible commerce (such as fair trade, relationship coffees, etc.) but not at the expense of quality. Most organics or fair trades I have tried have come out stale or bitter (of course it's rarely the farm's fault, more the roaster or the coffeehouse) but all the organics and fair trades I've had at CM taste no different then the others. Overall, I can easily expound CM exceeds most coffeehouses. This kind of quality isn't found much in the Philadelphia area and as it can be seen in local media and coffee circles, this place is going places. If you haven't stopped by, make sure to do so. 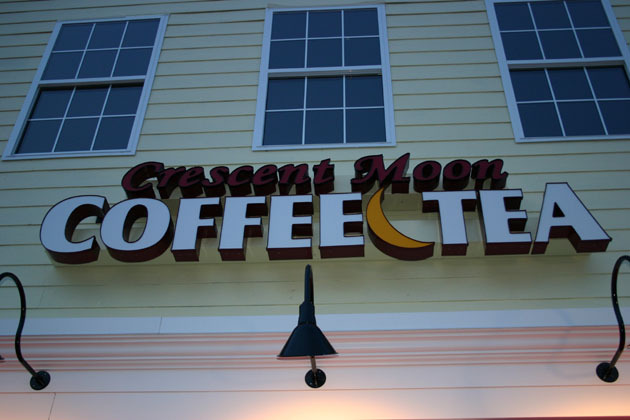 Over the past couple of years, Crescent Moon have seemingly undergone a lot of changes. It seems they've taken a step back from barista competition and has sought instead to go wholesale with their beans. Now you can get their coffee in most NJ and Philly Whole Foods locations. As far as the coffeehouse goes, seems like everything is still pretty superb in quality. To further streamline all of my earlier posts to match my current criteria of a review, I would like to elaborate on my many experiences with Crescent Moon. The coffee has routinely knocked my socks off, as their consistent roasting excellence always impresses me. My current favorite is the Raccoon Creek (wonderfully bright and sweet) and the Guatemalan Chajul (nice spicy, chocolate flavors). The espresso has maintained a decent quality through the years, as the Breakneck proves to often have a rounded bittersweet taste with a nice hang on in the aftertaste. Added long overdue second location in Sewell to map and this review. Same great products in a little smaller of a store. A long overdue update. The Sewell location is out of the picture, but Mullica Hill is still going strong. Much of the coffee now swings to the darker roast level of medium, with no real light roasts to speak of anymore. 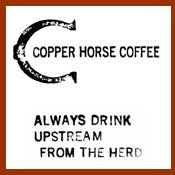 Nonetheless, they do a fairly bang-up job of delivering good coffee to the masses. Still worth a stop!